The CADR-46 optimizes the space on a corner desk or in a cubicle. 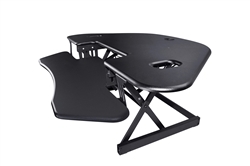 Extra wide 46" work surface will comfortably hold 2 or 3 monitors, and/or a laptop and provide a larger work space. 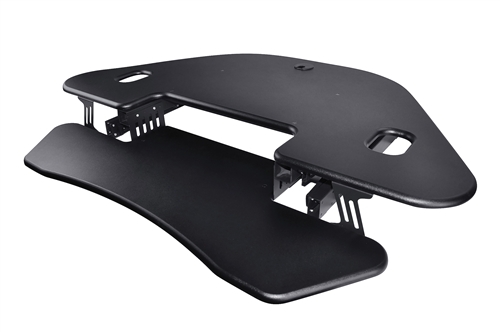 The CADR oves straight up and down (not up and out towards you) so you don't have to back up as you stand, and you don't take up as much space on your desk. 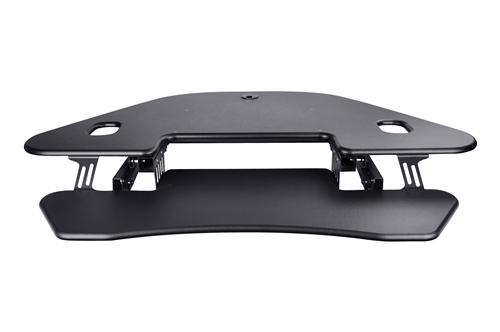 A Grommet hole is included for mounting monitor arms, or easy cable management. "Sitting is the new smoking". Employees who use a sit to stand desk are more productive, focused and less stressed. - reduced risk of obesity. - reduced risk of type 2 diabetes and other metabolic problems. - reduced risk of cardiovascular disease. - lower long-term mortality risk. The CDR-46 offers unlimited height adjustment in a greater range for both shorter and taller people. 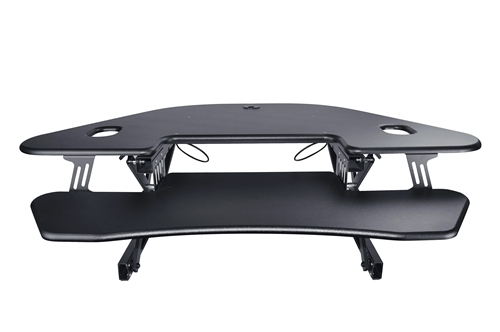 New wider keyboard tray to accommodate ergonomic and gaming keyboards. 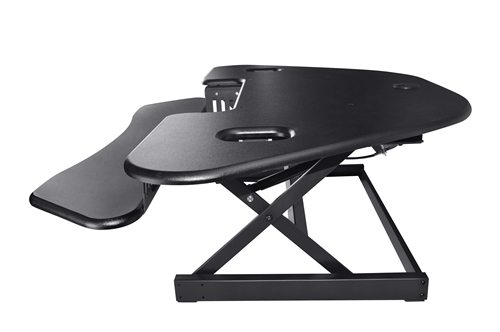 Adjustable heights from 5" to 18.1" provide the proper height and working angle for sitting or standing. Keyboard tray is large enough to hold a keyboard or a laptop and retractable to offer the ergonomically correct position whether sitting or standing.